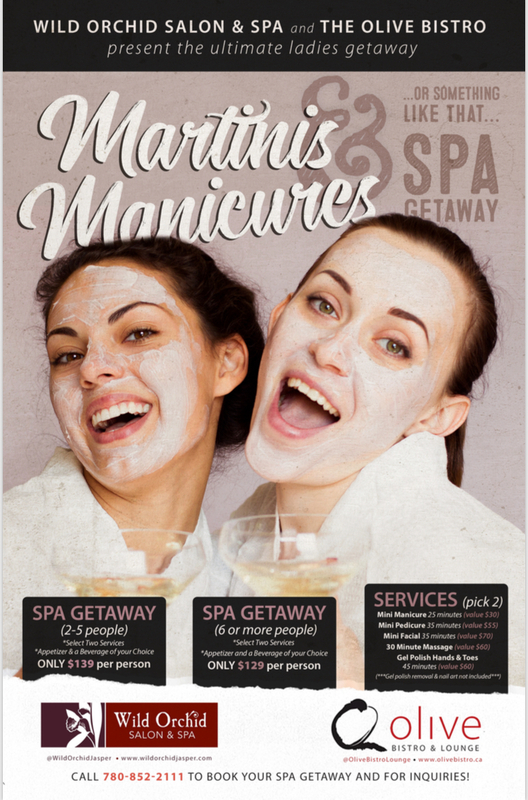 Wild Orchid Salon & Spa and The Olive Bistro present the ultimate ladies getaway! Select Two Services of your choice and an Appetizer & Beverage at The Olive Bistro! *Gratuities are left at your discretion for outstanding service and are NOT included for the spa services or appie & beverage service. This Package must be booked at Wild Orchid Salon & Spa, we will book the reservation and provide you with a voucher for your Appies and The Martini & Manicure Spa Packages will be booked for the same day only.